Police arrested Tanveer Hussain on Wednesday after the girl accused him of sexually abusing her. New York: A 24-year-old Indian athlete has been arrested for allegedly sexually assaulting a minor girl, days after he arrived in the US for a snowshoe competition, a report said. Mr Hussain was arrested on Wednesday after the girl's parents reported the abuse to police, a report in the Adirondack Daily Entreprise said. The incident, according to the police, occurred around Monday evening at a small village of Saranac Lake in New York, where the World Snowshoe Championships was held in February. Police said he has been charged with sexual assault and endangering the welfare of a child, adding that he was cooperating in investigation. Mr Hussain has denied charges and pleaded not-guilty in the case. "They are merely allegations alone. Not only is he innocent, he is presumed innocent by law. That is how he should be seen in the community and by anyone paying attention in this case," his lawyer Brian Barrett said. "Based on the limited communications I could have with Hussain, it did not allow for me to properly evaluate the case and make an informed decision on behalf of my client", Mr Barrett said. 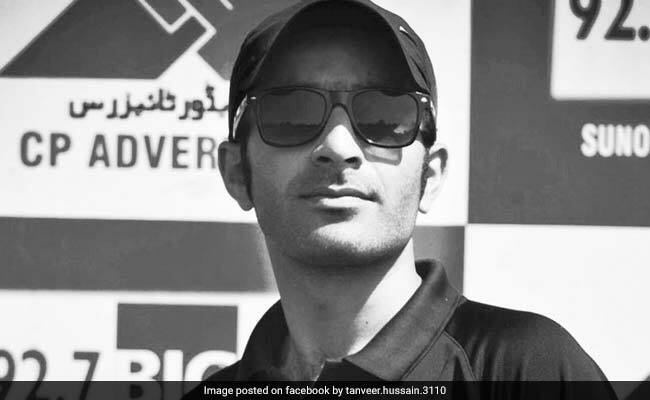 Tanveer Hussain, who is from Kashmir, had garnered much attention before arriving for the championship after the US Embassy in New Delhi denied him visa along with another athlete Abid Khan around the same time President Donald Trump had issued an order barring people from seven Muslim-dominant countries to the US. Though India was not among the seven countries, the denial of visa was seen associated with the Trump's executive order. Mr Hussain was given visa following intense lobbying from local officials and residents in the Adirondacks, as well as by US Senators Kirsten Gillibrand and Charles Schumer.